Super Pro Planting Mix – Pro Planting Mix with a kick. 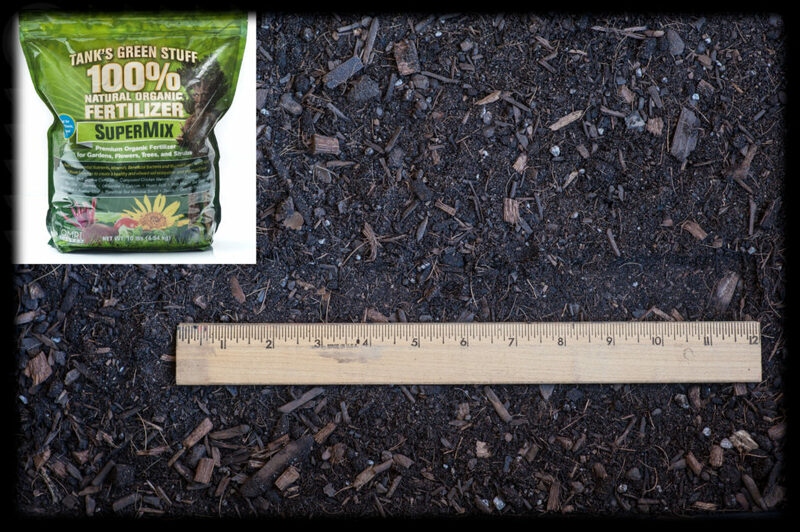 Super Pro Planting Mix is the perfect balance of Tank’s Organic Compost, Decomposed Pine, Prococo Coconut Coir Chips, Perlite, and Mortar Sand. With the addition of Tank’s SuperMix Organic Fertilizer. Super Pro Planting Mix is a ready to plant blend rich with nutrients and microbes. It is an excellent for raised beds, in-ground garden beds and containers. IMPORTANT: Please make sure the soil is fully hydrated as you fill beds/containers. The Arizona weather evaporates moisture quickly. CLICK HERE to watch a short clip of properly hydrated Garden Blend soil.